Hey Guys! Here you are going to enjoy “Dil Ka Jo Haal Hai” song video with lyrics which is firstly published on our website that is Lyricsmanza.com. 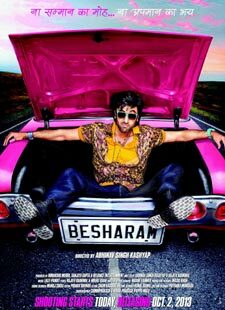 This song belongs to Ranbir’s rock movie ‘Besharam’ which is released in September 2013. Lalit pandit dedicates the music to Dil Ka Jo Haal Hai song. The lyrics of this song will touch your heart after all the music of this song is composed by lalit pandit where the starrer of this song will be your best actors ever Ranbir Kapoor, Pallavi Sharda, Neetu singh Kapoor and the old is gold Rishi Kapoor. Kyun karoon main tujh se pyaar..
Pehle bhi kitni dafa dil ne kaha tujhe. hey..
Rishta koi nahi tera mera..
Kyun kare tu mujh se pyaar..
Hai yeh tujh pe fidaa..
पहले भी कितनी दफा दिल ने कहा तुझे..
रिश्ता कोई नहीं तेरा मेरा..
क्यूँ करे तू मुझ से प्यार..
है ये तुझ पे फ़िदा..
क्यों करूँ मैं तुझ से प्यार..